A summer road trip to the big family reunion brings two families together as they hit the road from either side of Canada discovering who they are along the way. 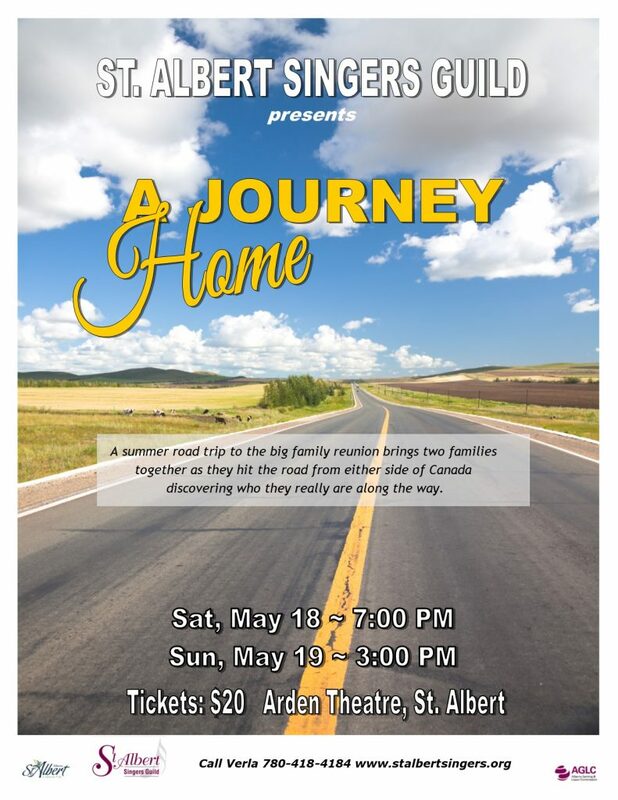 Experience iconic sights and songs with the two choirs of the St Albert Singers Guild as they take the audience on a journey that feels nostalgic and relatable with twists that are fresh and new. Call 780-418-4184 for tickets and more information.